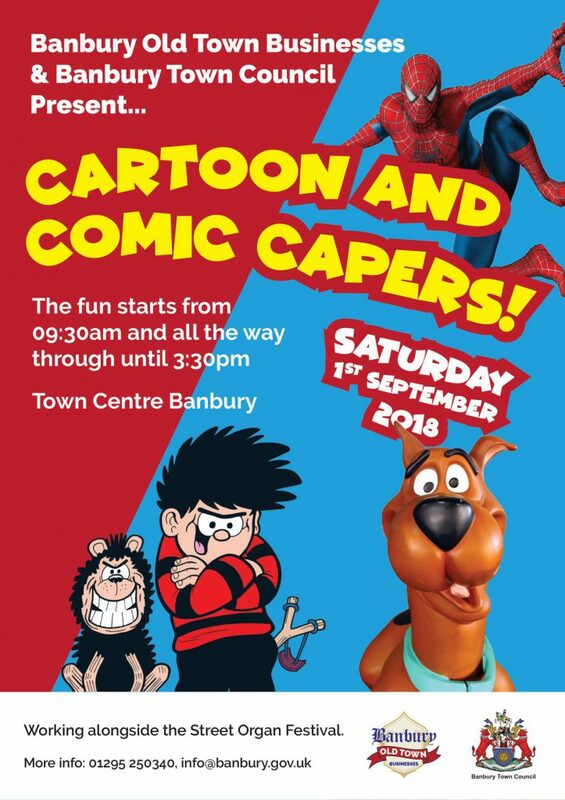 ‘The Old Town Party’ takes place in Banbury on Saturday 1st September from 9:30am – 3:30pm. Comic workshops, live music, Punch & Judy, face painting, balloon modelling, stilt walkers, a photo booth and an obstacle course. A static Lightening McQueen and a variety of other comic characters will also be joining in the fun.